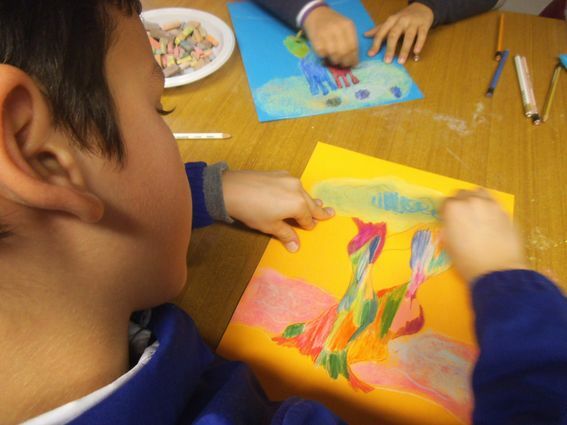 I’ve always loved teaching artistic techniques and in 2004 i started to set up workshops for children and adults in libraries, schools, museums, festivals and private/public spaces. 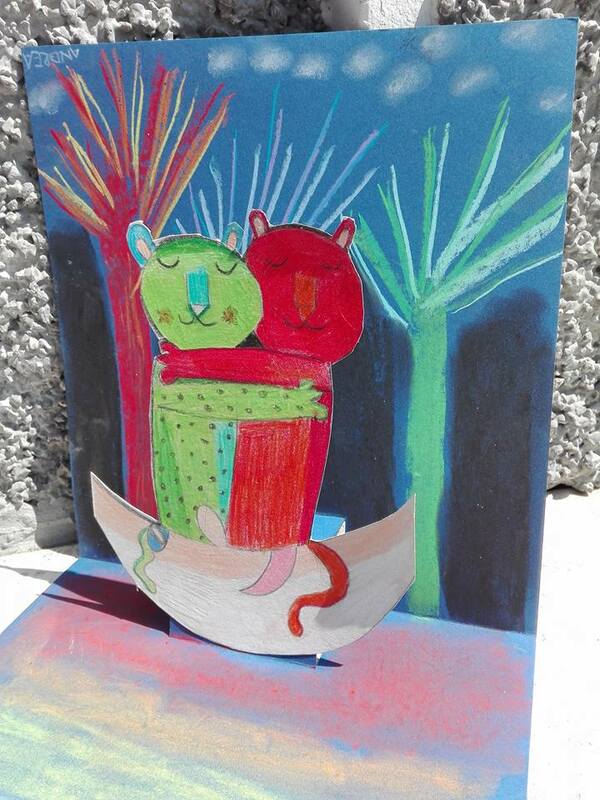 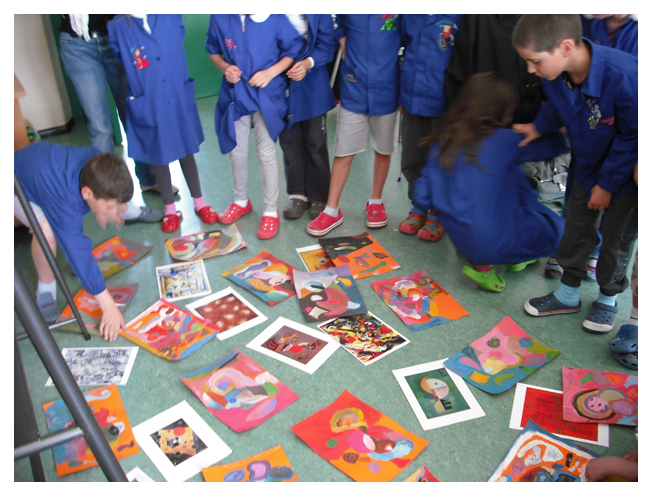 Aware of the fact that art is a powerful means of expression and self-knowledge I focused on art education (mainly for kids) for all these years, with great passion and care. 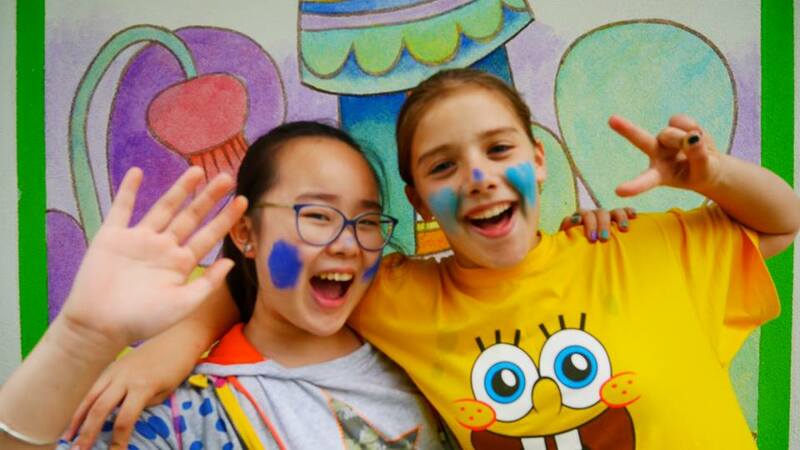 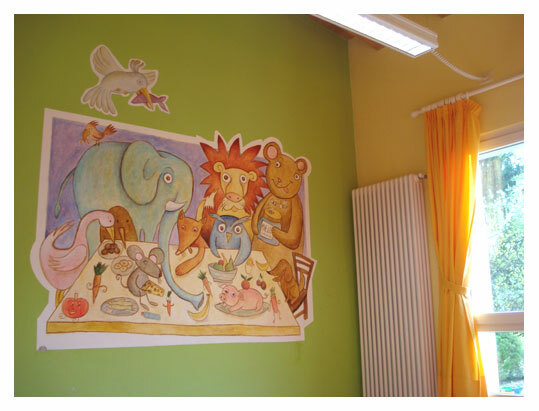 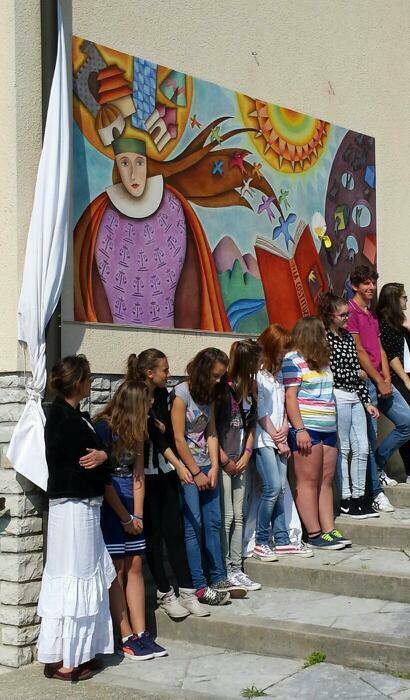 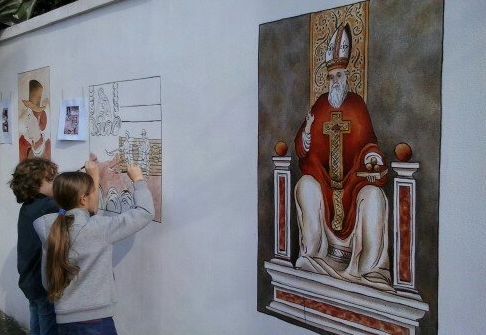 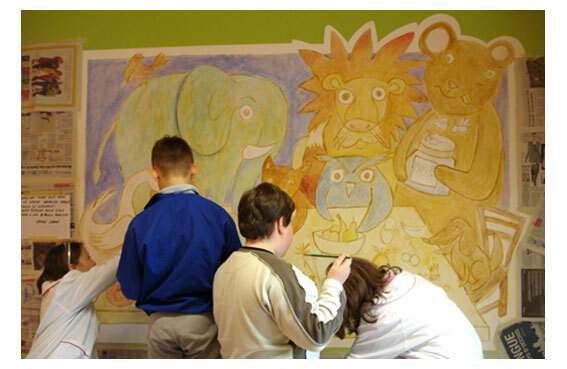 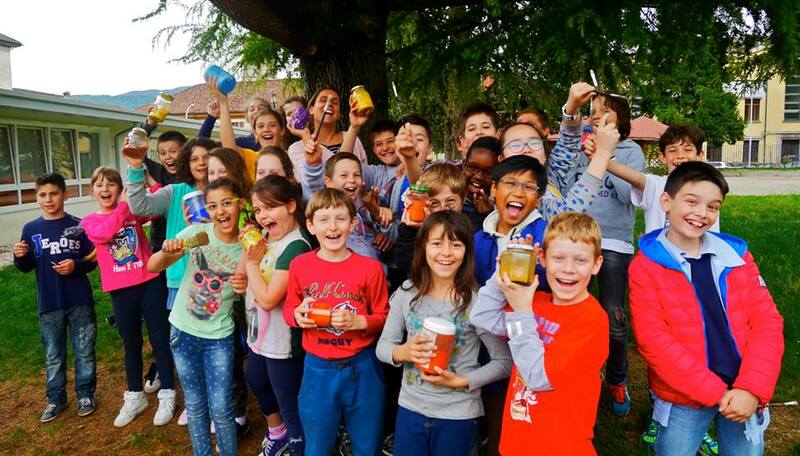 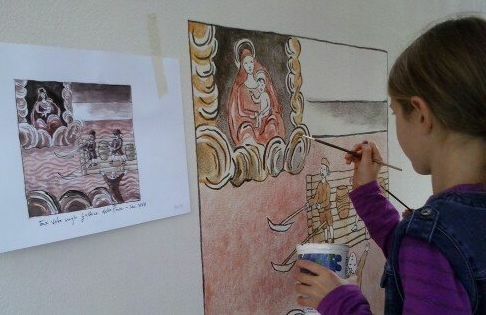 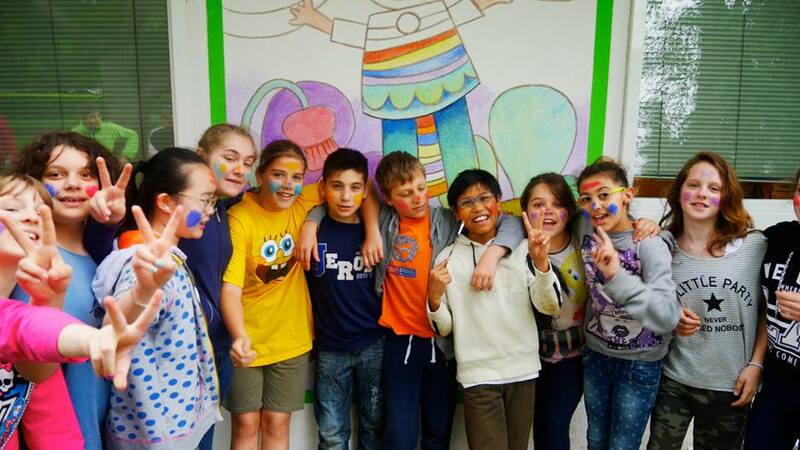 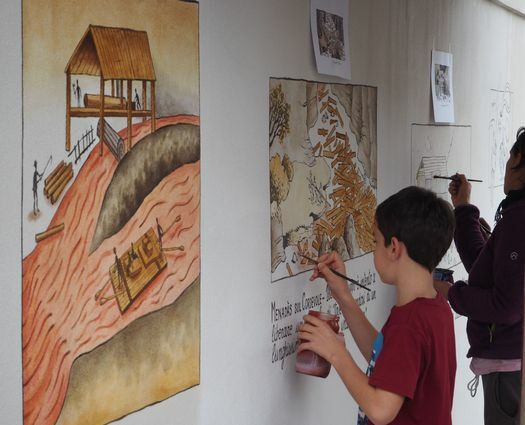 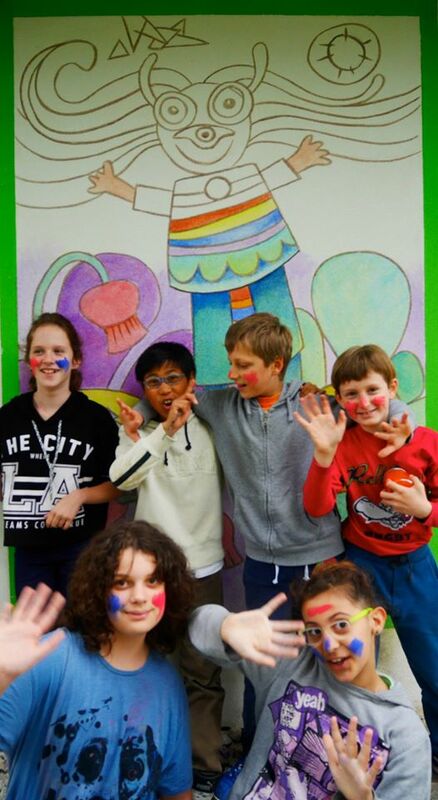 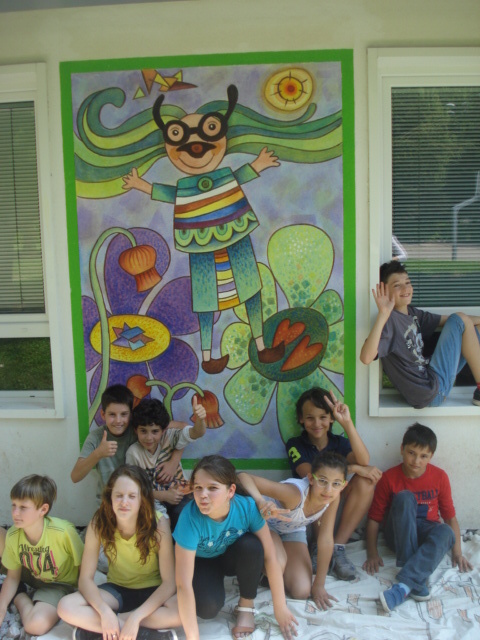 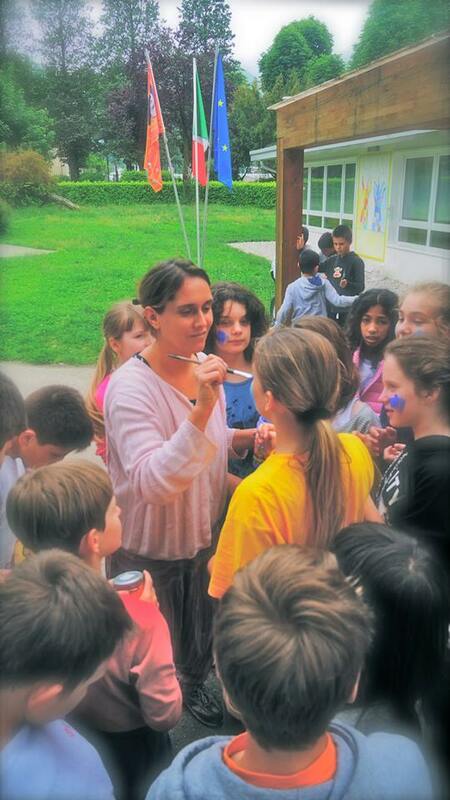 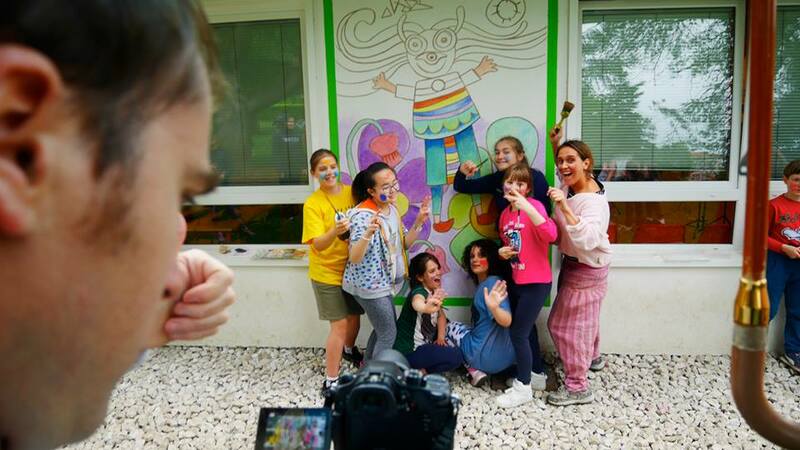 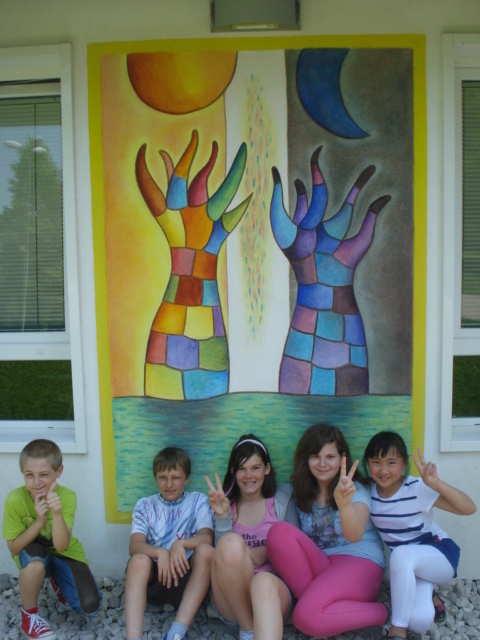 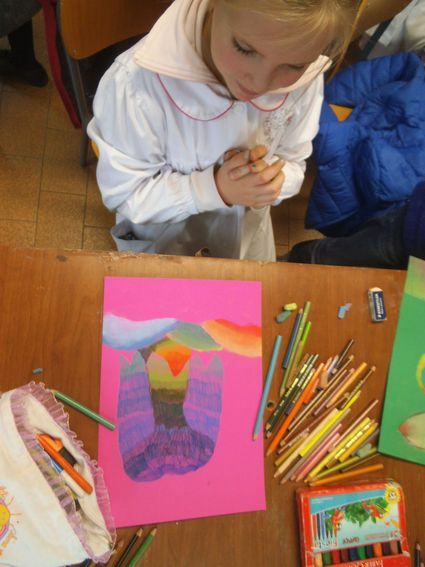 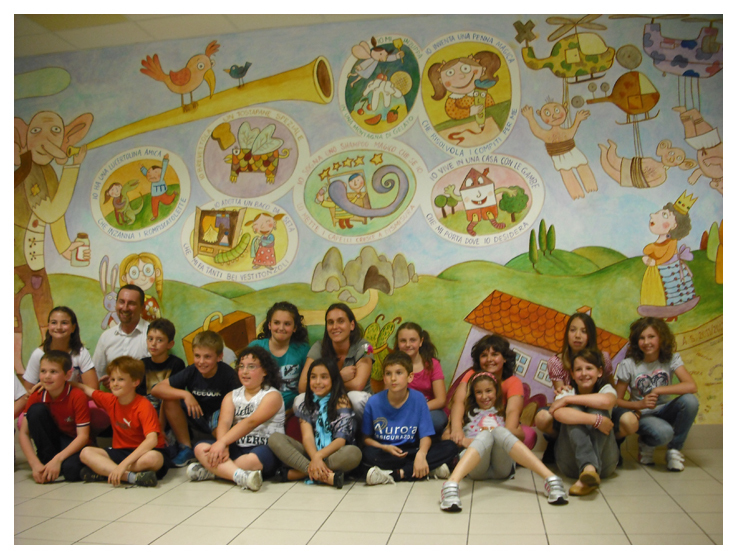 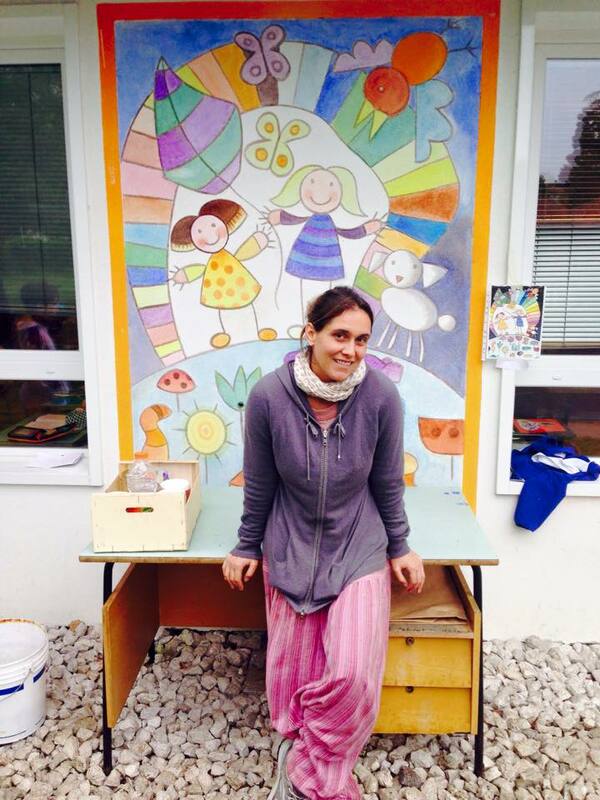 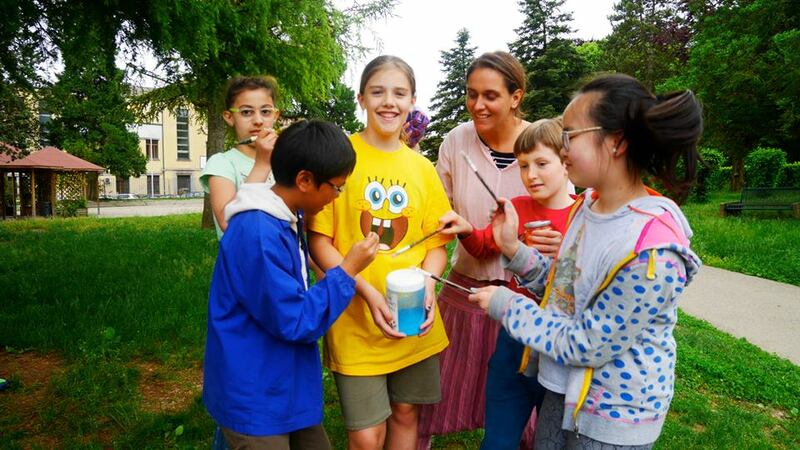 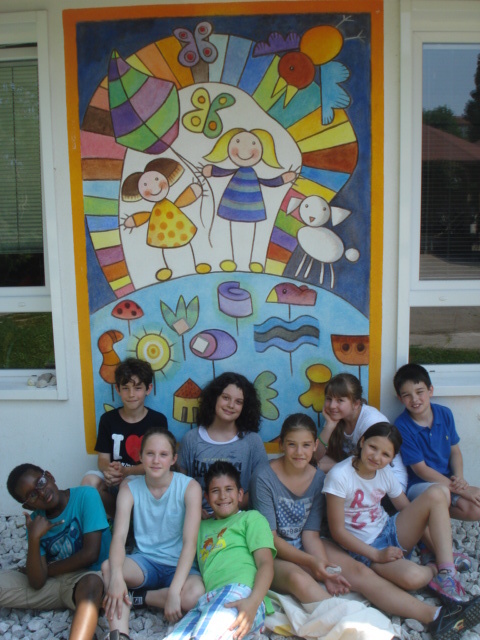 In this video I appears with the children of the primary school GABELLI of Belluno, while we were painting several new murals on the school walls, in may 2015! 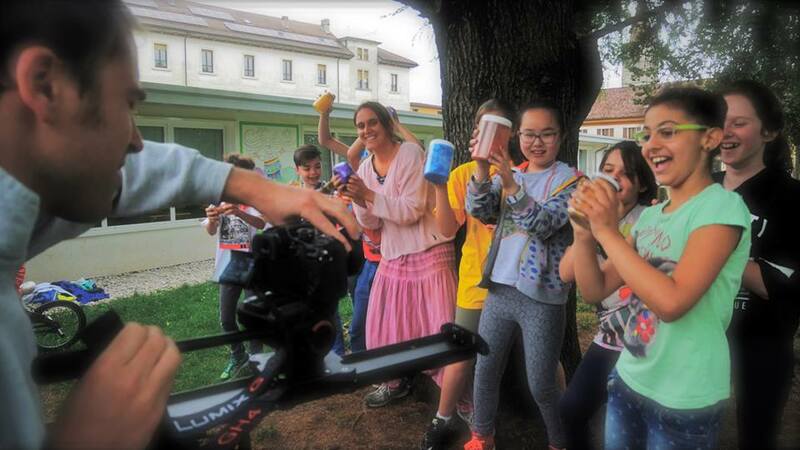 This video was made for POSTCARDS FOR BELLUNO a project promoted by the Province of Belluno for a world of solidarity and peace, realized by the director ROBERTO BRISTOT who is also the author of the photographs above. 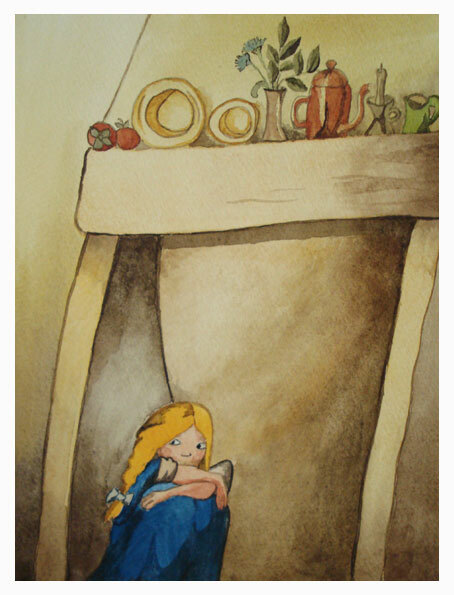 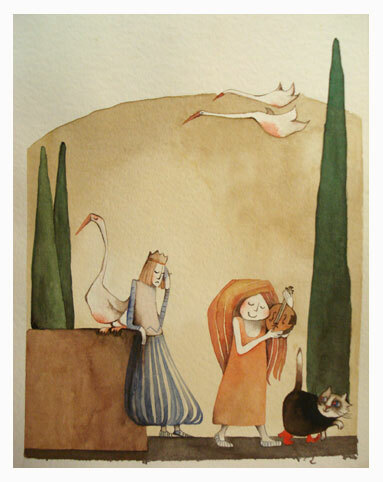 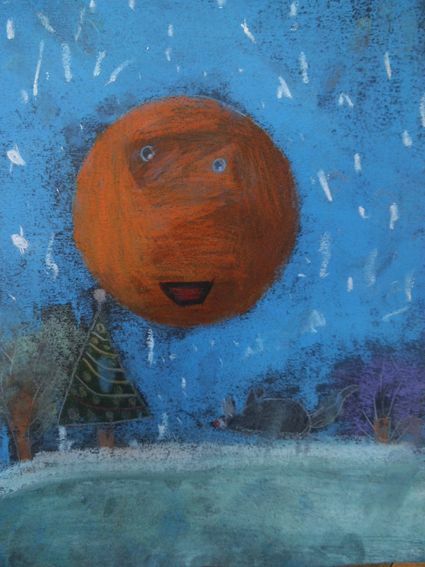 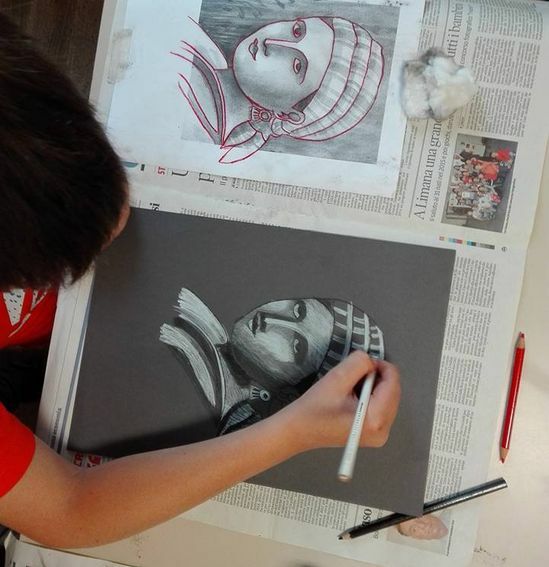 Since 2004 I set up artistic workshops for kids and teens in Italy and abroad, using different techniques such as watercolor, chalks, charcoal, acrylic and many other. 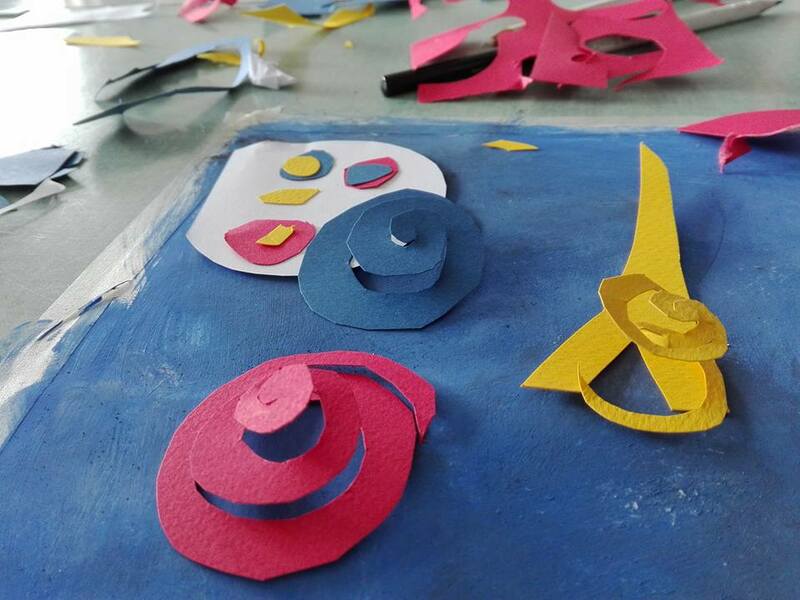 The greatest attention is paid to the creative act, even more than the final results. 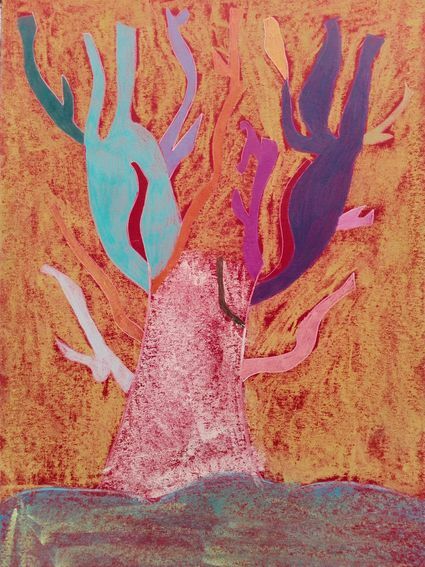 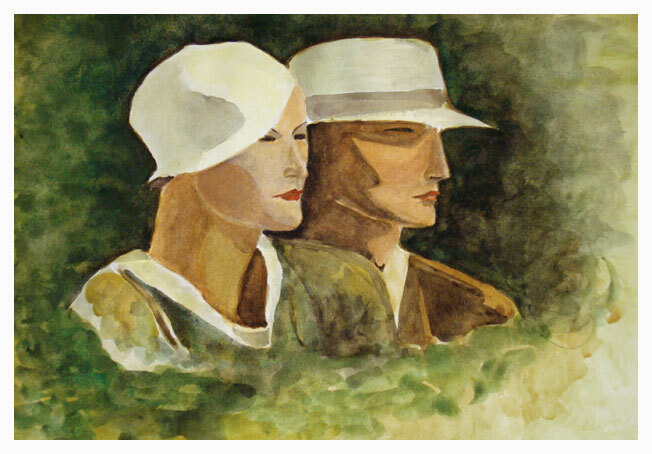 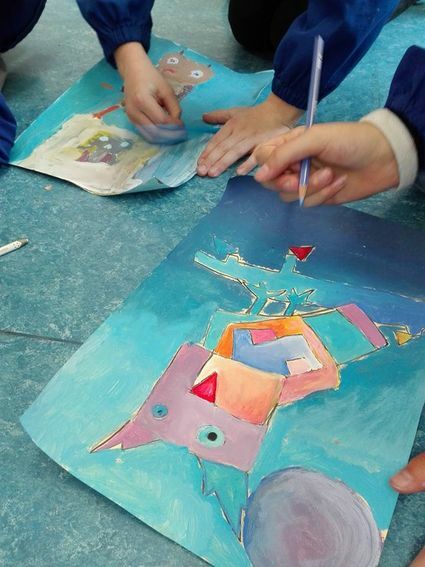 I like to work with my students on the fantastic themes typical of the fairy tale world, but often my workshops are inspired by the work of the great twentieth-century artists, ranging from workshops on abstract painting to those on the Impressionist technique. 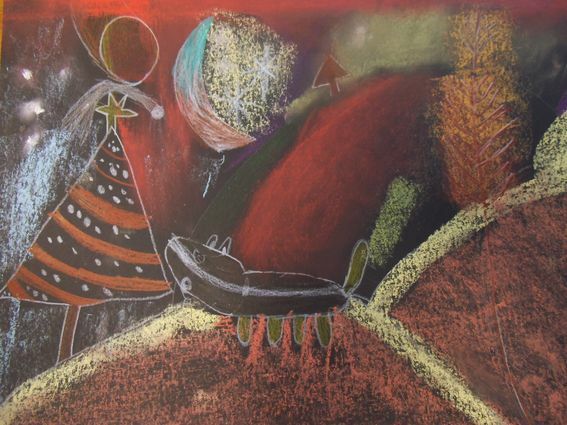 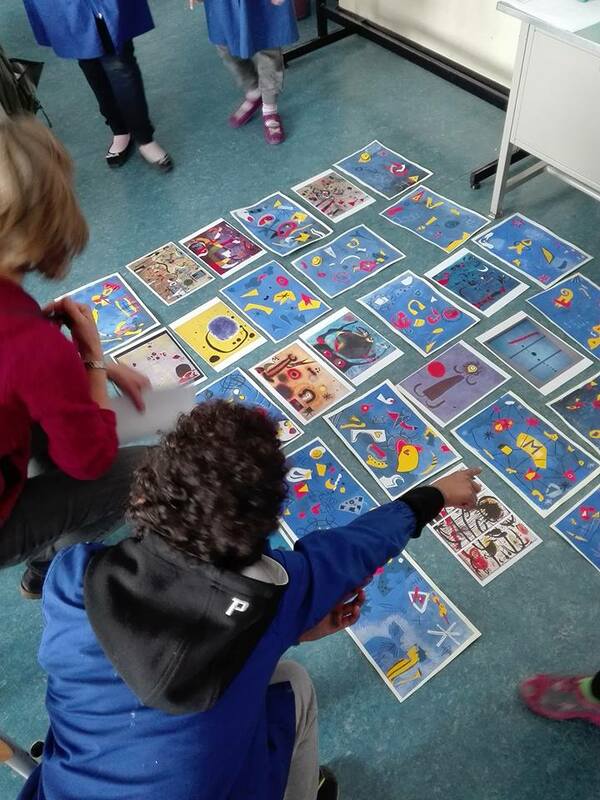 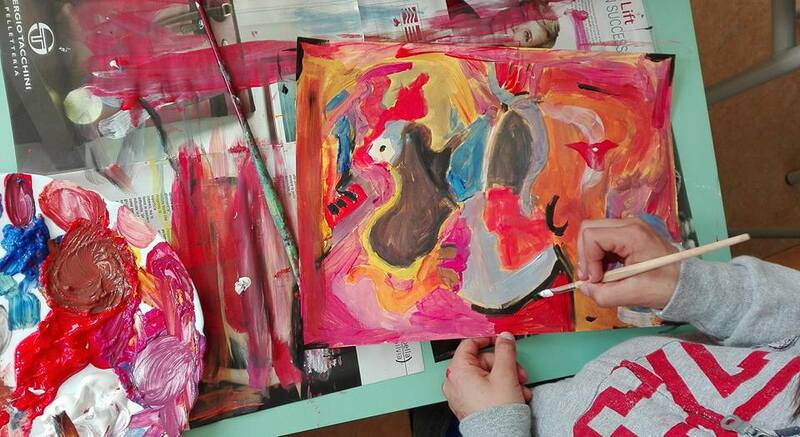 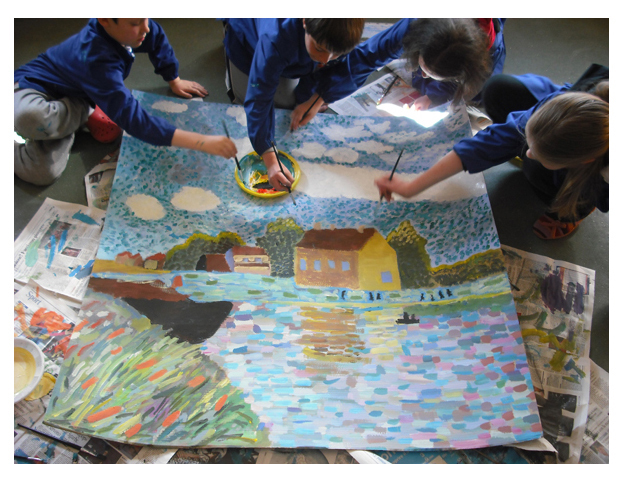 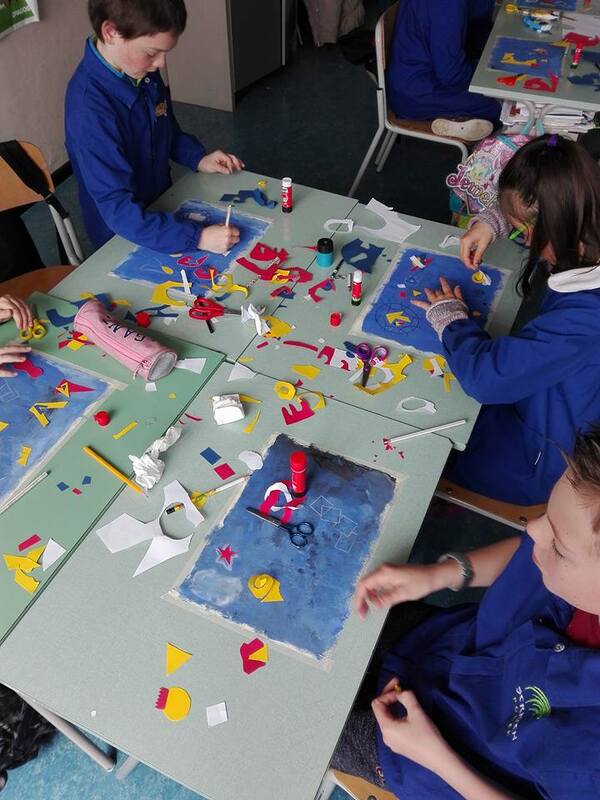 We try to express ourselves using the manner of Picasso, Kandinsky or Depero... to better understand their figurative worlds and at the same time to have fun all together! 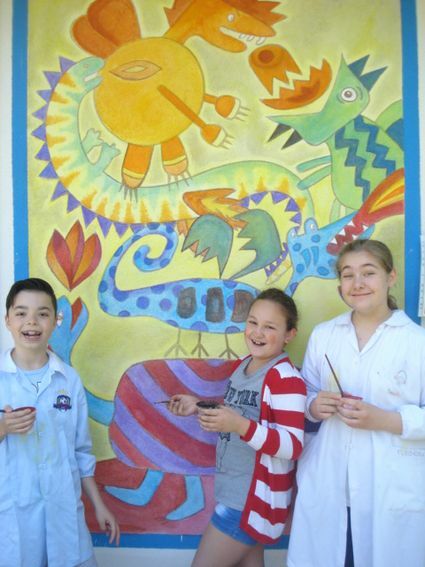 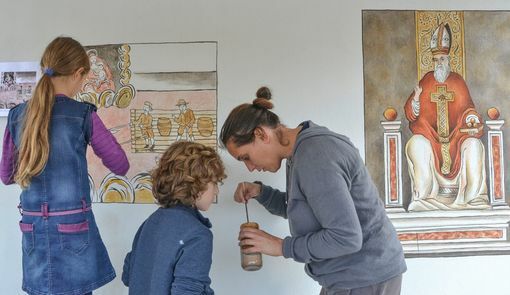 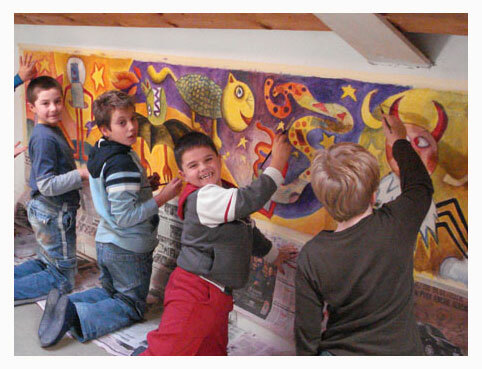 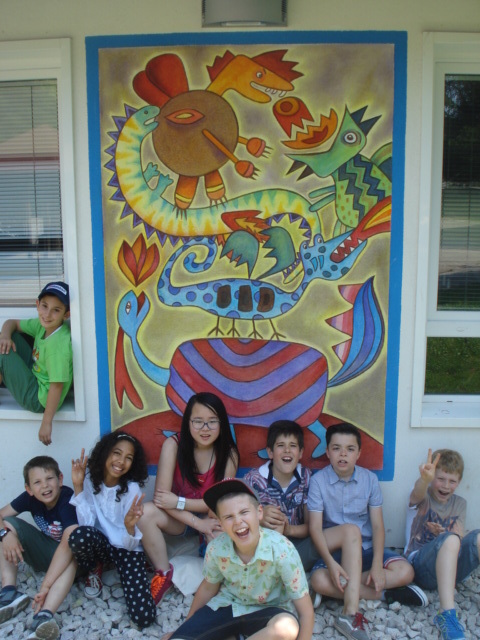 Making murals is one of the most fascinating artistic techniques in the world, and especially kids love to paint on large walls! 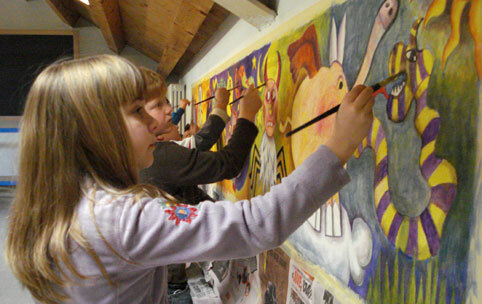 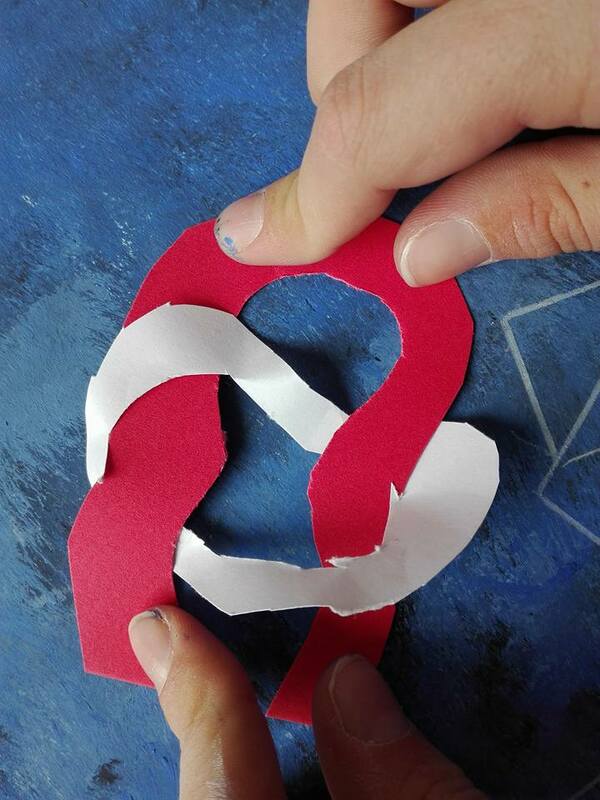 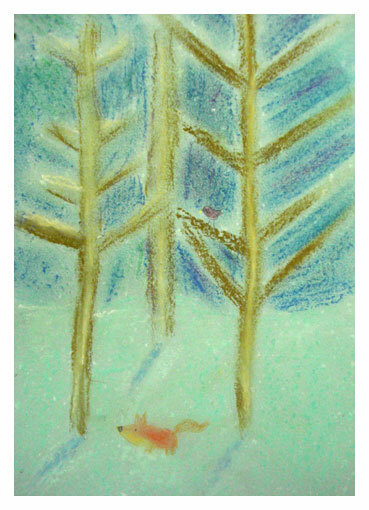 I run workshop for adults and for children, where the minimum age required is usually 10 years. 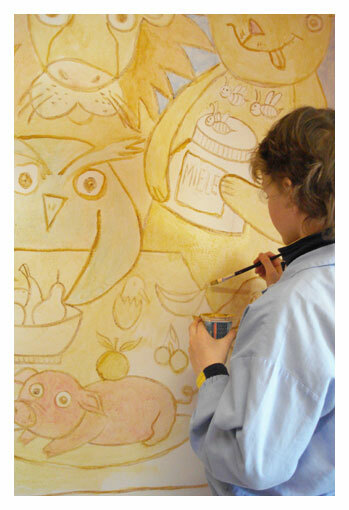 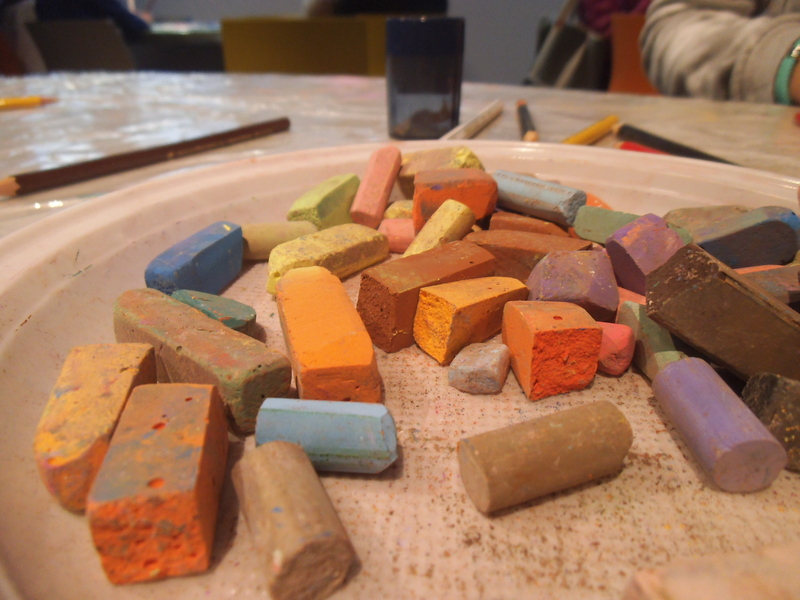 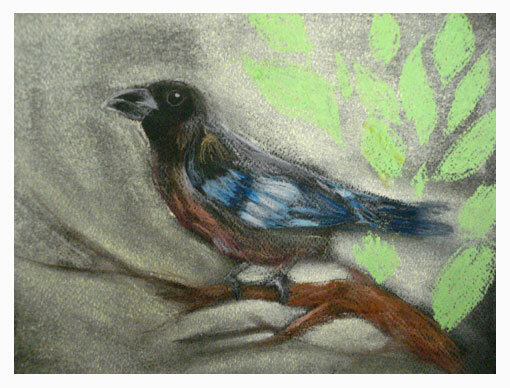 We paint using natural pigments, which are in powder form and they must be dissolved in water. 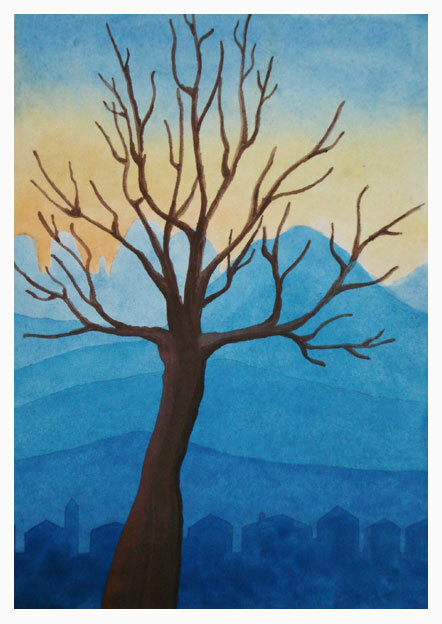 It is a difficult technique but with surprising results, thanks to the beauty and uniqueness of the colors used. 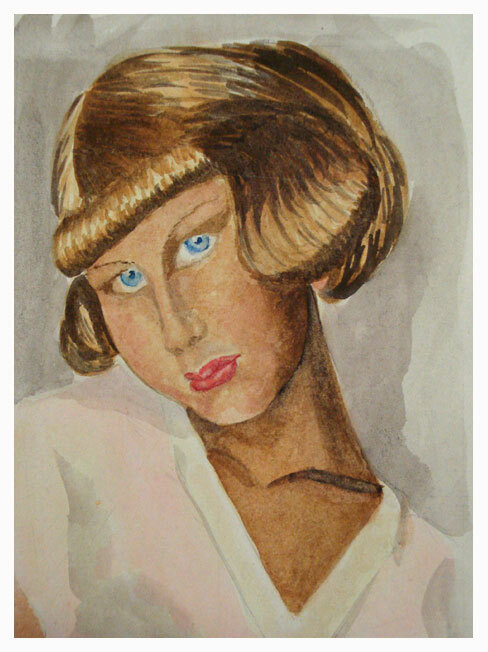 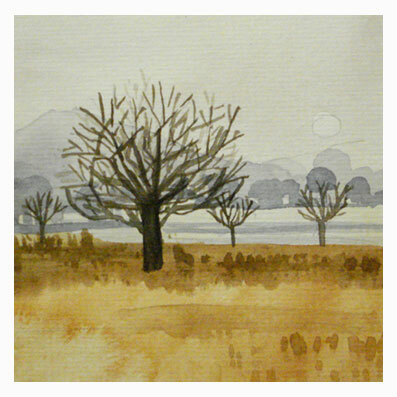 Sometimes I also conduct workshops for adults, especially focused on using the technique of watercolor on paper. 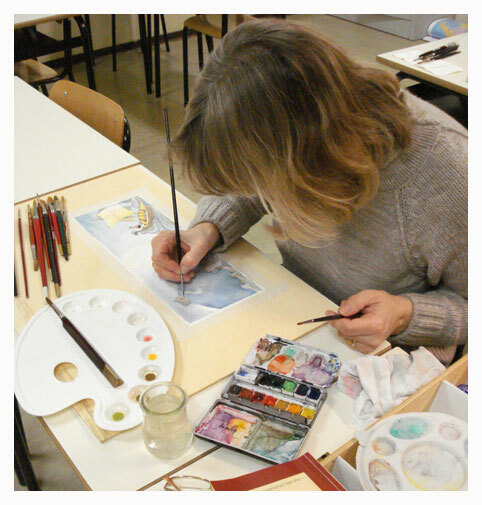 On request I can activate basic courses for beginners, medium difficulty courses and advanced courses. 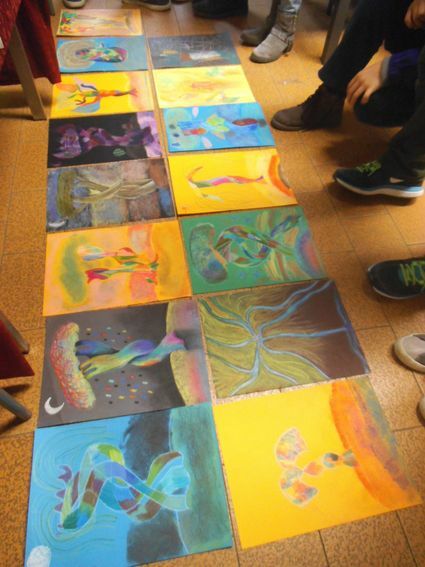 In this gallery there are some pictures from the previous courses.